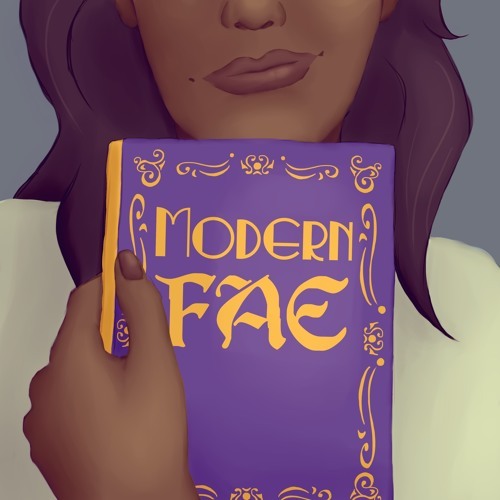 Modern Fae is a new audio drama that centers around Diya Greenberg, a young woman who feels lost in her life, and makes the fateful decision to move to a tiny South Texan town to manage a bookstore. Little does she realize, but Encrucijada is much, much more than it seems. It is a haven for the legendary and mythological, the shadowy and supernatural. And it is in grave danger. Here, even the shadows have shadows, and something is stirring that threatens not only to consume the whole of this bastion of the fantastical, but the entire world. As she unravels the mysteries of Encrucijada, Diya learns to rely on new friends and allies. There’s Aoife, her landlady, will-they-won’t-they girlfriend, and oh, yeah, 1000 year old warrior, the changeling twins Tik and Tok, 700 year old preteens always looking for their next mark, and Clio, Isimud, and Mr. Enki, Diya’s eccentric co-workers at The Fount Bookstore. With them at her side, Diya confronts old and new evils, and in the process discovers who she truly can be.